Los Angeles, CA, March 14, 2011… Digital Fashion Pro creator StartingAClothingLine.com, the foremost purveyor of books and software for aspiring fashion designers, is thrilled to announce the release of “The Runway Female Model Pose.” The newest addition to the interactive Digital Fashion Pro series immediately upgrades the user’s experience and boasts over 125 templates for easy application. 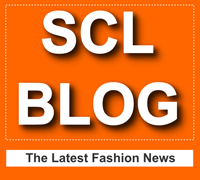 The StartingAClothingLine.com collection offers a three-book course, the comprehensive Digital Fashion Pro software, and tutorials covering design, financial strategies, manufacturing approaches and retailer relations. With state-of-the-art fashion design software and interactive tools, Digital Fashion Pro takes fashion sketches from your imagination to the computer to the runway. This new upgrade offers templates for dresses, skirts, tops, pants, jackets and swimwear that may be created, customized and altered in any way the user pleases. Designers can then select a model from five different skin tones and create their own portfolio. Fashion success has never been so obtainable. After the designs have been made, StartingAClothingLine.com will provide “The Ultimate Fashion Contact List E-Book,” a directory of over 400 manufacturers and fashion industry contacts. At every stage of the process, StartingAClothingLine.com is there to build designers’ confidence and shepherd them towards becoming profitable. With a high profile client list from New York, Paris and Milan, coupled with over 70 colleges and design schools, StartingAClothingLine.com has proven to be the most trusted name for effective, efficient and creative resources available to developing designers on the market today.